MAXIMANUS 105 is connected to the keyboard socket of an IBM compatible computer. 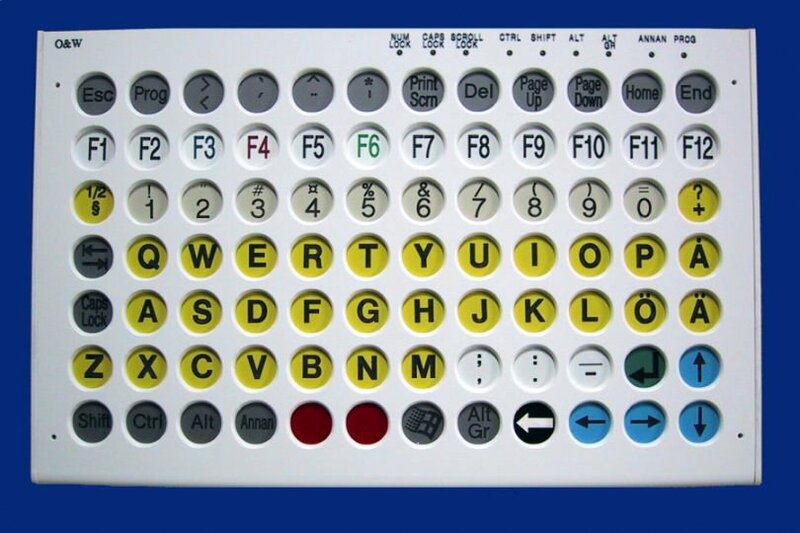 The enlarged, magnified keyboard has 105 keys, diameter 25 millimetres. You can operate the whole keyboard with one single finger. Shift, ctrl and alt can be locked. Knobs on the back of the keyboard alter the functions of repetition, click-delay and intervals. A click-sound is clearly heard every time you press a key. The sound volume is likewise adjustable. It is very easy to press the keys and the sensitivity is extremely high. The user can write down whole sentences and store them on the second level of a key. Every single key can hold 78 signs per level or a total of 1800 signs. The filed sentences are movable between the computer hard disc and MAXIMANUS. MAXIMANUS can function as a Microsoft-mouse as well. 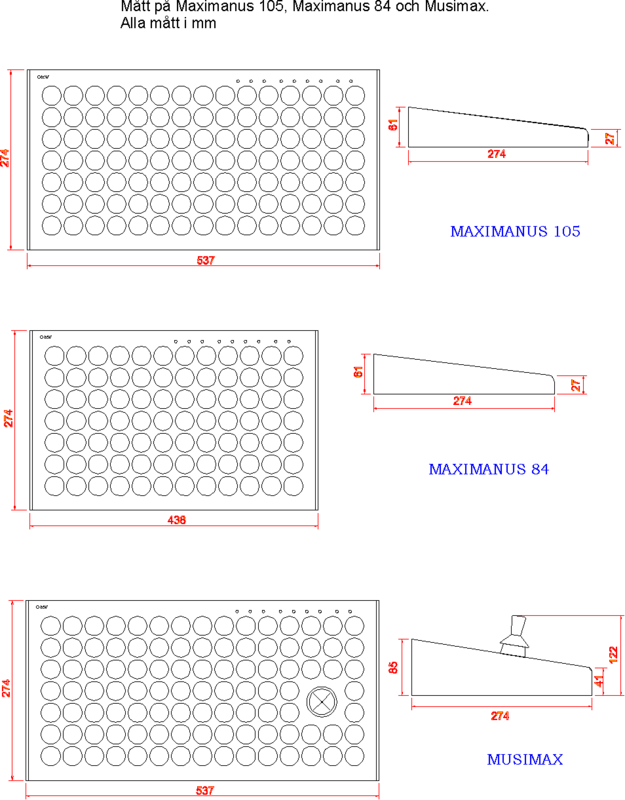 The mouse cursor can move in 8 directions, and the mouse clicks are made with MAXIMANUS keys. A standard keyboard and a serial mouse can be connected and used simultaneously. 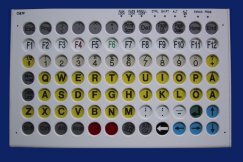 A smaller version of MAXIMANUS with only 84 keys is produced. 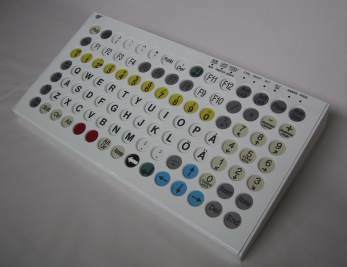 It has the same features as the model with 105 keys.